One of the best parts about the writer community is how supportive everyone is. My writer friends inspire me every day with their generosity and giving spirits. Writers are special, I've never met any other group that is quite like them. 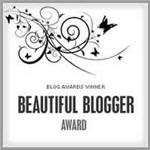 When I came back from New York I was flattered to find that Heather's Odyssey had won several blogger awards. 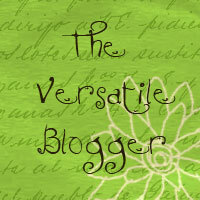 I won the Versatile Blogger award from not one, but two of my fabulous writer buddies. This award is for the blogger who manages to keep their blog versatile enough to both entertain and help others. I'm touched ladies, thank you for choosing me! The first was from Alissa Grosso, up and coming YA author who's book releases next year. Check out her blog and website here: http://alissagrosso.com/. Alissa is sweet and supportive and you're going to love her book when it hits the shelves! The second Versatile Blogger award was given to me by Lisa Green of the highly entertaining blog Paranormal Point of View. 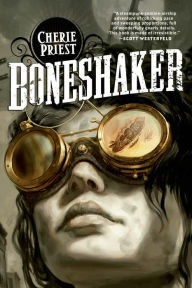 If you don't already follow Lisa's blog you must, it is quirky, fun, and highly imaginative. The third is from Patricia Stoltey an author from Colorado who blogs about writing and her experience in publishing. Since I've won three of The Versatile Blogger Award I'm going to pass it on to three people who I think run a blog that reflects the award. The first is Karlene Petitt, a writer and an airline pilot who manages to mesh the two in her blog Flight To Success quite well. The second is Lydia Kang, a doctor who meshes her profession with writing to bring her readers some of the most valuable and insightful tips for use in their writing. Her blog is The Word Is My Oyster. 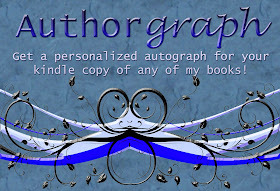 The third is author Elizabeth Craig of the Mystery Writing is Murder blog. Elizabeth shares everything about her journey from publicity and conferences to book signings and pitching. She is a wealth of information and if you aren't reading her blog you need to be. Heather's Odyssey was awarded the Journey Support award by the wonderful Lydia Kang of The Word Is My Oyster. This is a special award given to those who are supportive to others in the journey of writing and publication. I am bequeathing this award to someone who has been my friend from the very beginning and has been one of my biggest supporters, Lindsey Edwards of The Write Words blog. She blogs about the writing journey, helping others by sharing her experiences. Last is the Beautiful Blogger award handed to me by Karen Strong of the blog Musings of a Novelista. Thank you Karen! On a deeper level this award is for those who go the extra mile and do something above and beyond what the regular blogger sets out to do. They don't just reach out to feel connected, they reach out to touch someone and make a difference. There are a lot of fabulous people I could award this to but I must choose just one. Therefore I'm choosing the Mundie Moms of the Mundie Moms book blog. They are lovers of YA books, especially anything by Cassie Clare, but they are so much more than that. The Mundie Moms support authors like I've never seen anyone do. They go above and beyond to help promote their favorite books~which are outstanding by the way~and they support up and coming authors as well. Even more, they are always spotlighting one worthy cause or another, be it literacy, libraries, or even things such as cancer. To me this makes them more than worthy of the Beautiful Blogger award. Thank you ladies for all that you do. Thank you to everyone who was so kind as to give Heather's Odyssey an award and thank you to each of the lovely people I passed the awards on to. You are what make the journey just as important as the destination. Please click on the names to go to the links. Heather, Congratulations! They could not have picked a better person for these awards. You are absolutely the most supportive, encouraging and helpful person, and your blog displays that. Your quest, is shared by many and when you publish, the world will celebrate in your much deserved honor. Thank you Karlene, I'm blushing! As both a hugely successful pilot and a soon to be successful author (I can feel it coming) you are an inspiration to us all! Heather, you have left me speechless. And that's hard to do. Thank you for the MM nomination! Thank you SO much for this beautiful award. I am so touched by what you said about Mundie Moms. It means more than you know. THANK YOU! Congratulations, Heather! You have such a generous and giving spirit, and I can't think of anyone more deserving of these awards! You're a terrific writer as well as blogger. I truly believe in writers who support each other. It really does take a village. Happy writing! Katarina & other Mundie Moms, I think the world of you ladies and can't say enough how wonderful I think you are. Enjoy your award, it was very well earned! Jule, thank you so much, I'm touched! And I couldn't agree more, it takes a village. Love that! Congrats on all your great awards. And good for you for spreading the love! Have a great weekend Heather! These are all great awards Heather and you deserve them all! Congrats! Thank you so much for the Journey Support Award. When I read what you wrote I got tears in my eyes! That is so sweet! I will be posting this award on the award section of my blog with a link to your own wonderful blog! Thanks again!! Heather - sorry it took me so long to get back over here! But thank you so much for the wonderful comments about my blog. You made my day! Aw thanks Lindsey! And you're very welcome. You've been here with me almost from the beginning and have always been so supportive, that means a lot to me.